While you might consider HIV to be a virus prevalent only in Africa, the 10 countries with the highest HIV rates in Europe prove otherwise. When HIV and AIDS were first discovered, the victims were shunned and treated like lepers. They were treated like social pariahs and people avoided contact with them. There were a couple of reasons behind this treatment; firstly, initially HIV was thought to be a disease limited to the gay community and at the time, associating with gay people was often a controversial issue. Secondly, since little was known about HIV as significant research was yet to be conducted, people thought that it could be spread through physical contact, and hence, completely avoided those who were known to be infected. As the research improved, the realization that HIV and AIDS could not be transferred by casual or non-sexual physical contact, increased the acceptance of people who were suffering from the disease. However, AIDS was extremely deadly back then, and knowing that you were infected was often almost as good as a death sentence. One of the many famous persons who was responsible for spreading awareness regarding the disease was Freddie Mercury, lead singer of the band Queen, who himself succumbed to the disease. An AIDS awareness concert was held in respect of his memory, and his public acknowledgment of contracting the disease gave courage to many people to come forward as well. Another thing that people were initially unaware of was the difference between HIV and AIDS, often considering them to be one and the same. The reality is, HIV is a virus which can result in AIDS, which is the actual disease. In the United States alone, over 1.2 million are currently infected with HIV, and 1 in 8 don’t even know that they are infected. Once AIDS got the attention of the world, the battle to fight it began, a battle which has earned considerable success in the past decade. This success led to a vast reduction in HIV and AIDS diagnosis in the developed world, though the virus is still a significant threat. 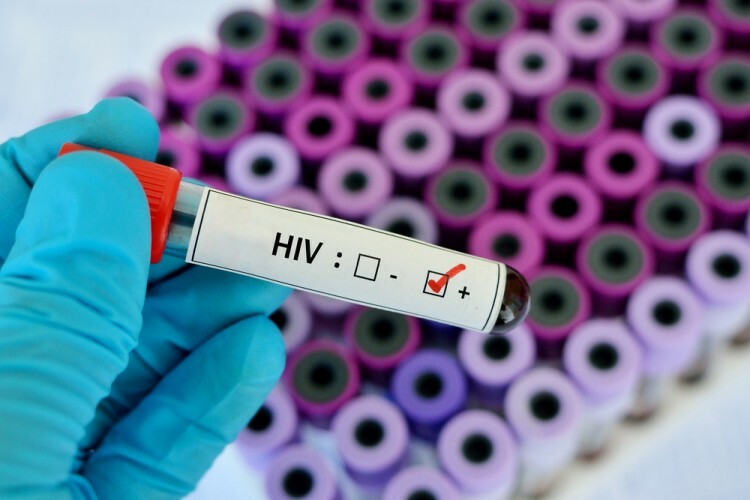 Now that HIV no longer has the same celebrity status it did in the 1990s and early 2000s, funding has decreased and this could lead to further complications. If you want to know more about the occurrence of HIV in America, you might want to visit the 10 States with the Highest HIV Rates in America. Nowadays, HIV is still vastly prevalent in Africa, and the top 10 countries in the world with the highest rates of HIV/AIDS are all from Africa. The issue is, most of the African countries are poor and hence have been unable to gather resources necessary to successfully eradicate the disease. Sadly, it looks like this trend is set to continue as no major inroads have been made in the battle against HIV in Africa–especially in countries like Swaziland, Botswana, Lesotho, and South Africa. Meanwhile, even though Europe has managed to reduce HIV rates substantially, the disease has still made its presence known on the European continent. Without further ado, let’s take a look at the European countries with the highest HIV rates. To find out the countries which have the highest HIV rates in Europe, we consulted the CIA Factbook for global HIV rates and then filtered the countries from Europe to arrive at our list of countries with the highest HIV rates in Europe.